Book 7 nights, pay only 6. The offer is not valid in addition to other promotions. throughout South Tyrol in winter season 2017/18. Hosts with a membership of the local tourism association bear the costs for local transportation and will happily provide you with a ticket. From Kronplatz in the Sesto Dolomites and back just 40 minutes! Discovering South Tyrol on the Integrated Public Transport network! 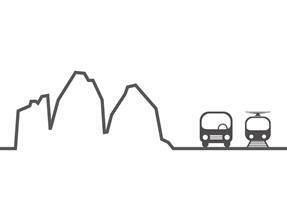 The Mobilcard South Tyrol (Bus and Train) allows you to travel by train or coach in South Tyrol. You may use this travelcard on all coach routes (including the route from Dobbiaco to the Three Peaks), as well as on the regional train routes.